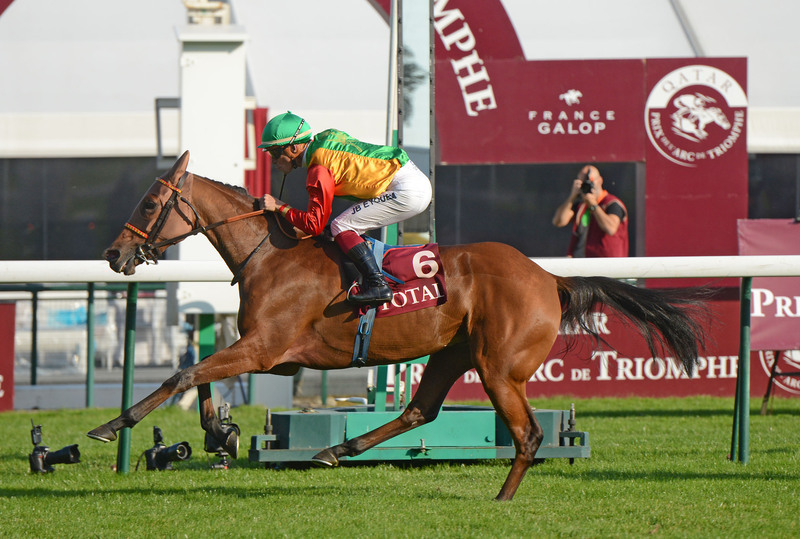 It was a very emotional return to the Longchamp winner’s enclosure on Saturday, 3rd October, after Sylvine Al Maury (Munjiz x Savavit Al Maury by Dormane) had lifted the Group 1PA Qatar Total Arabian Trophy des pouliches de 4 ans. Sylvine Al Maury was bred by Renée-Laure Koch and runs in the colours of the Royal Cavalry of Oman. She was ridden by Jean-Bernard Eyquem who guided her to a 2 ½ length victory from Gidwa GB (Amer x Djamour des Forges by Tidjani), owned by HH Sheikh Mohammed bin Khalifa Al Thani. Sylvine Al Maury gave her trainer Elizabeth Bernard her first success as a trainer at Longchamp. Elisabeth, who took over from her husband Jean-François Bernard following his death in May, could not have paid him a more fitting tribute. This was a third success in this race following the inaugural running in 2011 which they had lifted with Kiss de Ghazal (Dormane x Kaoe de Ghazal by Kesberoy) and again last year with Loraa (Mawood x Aleefa by Kesberoy). There were a lot of smiling faces and a few tears too around the winner’s enclosure.